Nike’s Hyperdunk X is one such model that looks to carry the brand’s basketball sneaker legacy forward, having surfaced in a swarm of colorways since first breaking out onto the scene earlier this summer. Last spotted in a clean white/black palette, this new rendition adds lively pops of color onto a mixed-material core black base. 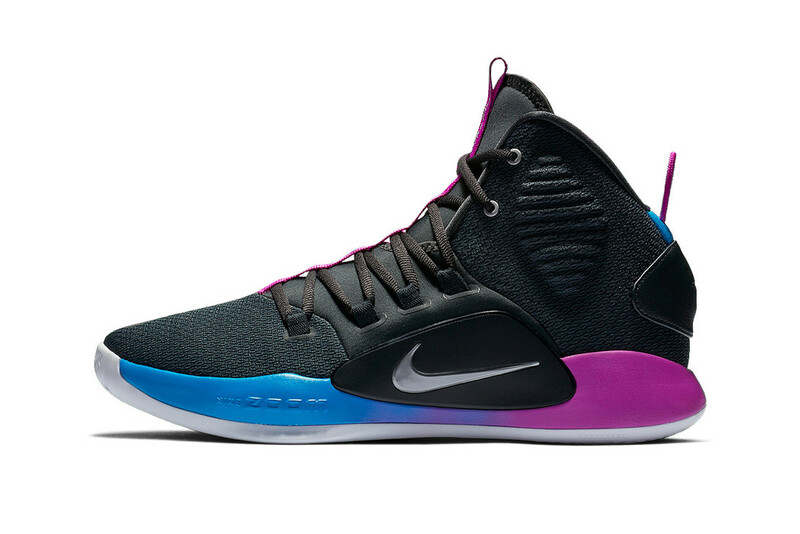 Purple and blue cohesively mix in together on both the midsole and heel pull tab, with the former flying solo on the tongue strap and portions of the outsole. A light grey hue adds additional contrast, as seen on the side Swooshes, while a white wavy-patterned sole system finishes off the contemporary hoops model. Although price still has yet to be confirmed, the new Hyperdunk X will make its way to select Nike stockists sometime this month. In case you missed it, Nike unleashed a multicolored Mamba Rage.